Too late for a big entry… too long celebrating Vernon’s birthday and too long watching movies! New Year’s Day and the Rose Parade took up too much of my time..and I wanna know where the horses were?? Not very many this year, and that’s the best part. Love your new header with the blue letters over the black cows!! 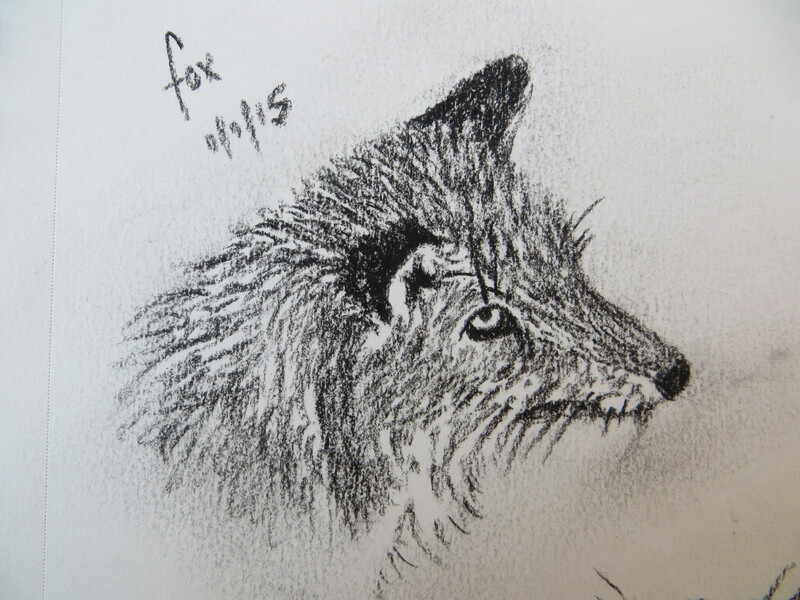 Love your fox sketch (a favorite animal of mine). Happy New Year to you all. too looong of a holiday season, if you ask me. 🙂 I hope you got to relax and enjoy somewhat yesterday with good movies and family. I was wondering if you had thought any more of getting me the 2 prints of the 10 ( 9 ) elk walking since I said I didn’t mind the reality of the fence in it? Happy safe and healthy 2015 to all.